MARQUETTE — The 5th annual Art and History Day Camp at the Marquette Regional History Center wrapped up on Friday, August, 24. This week, the focus for the children was on portraits. They worked on dioramas, self-portraits, and family portraits. 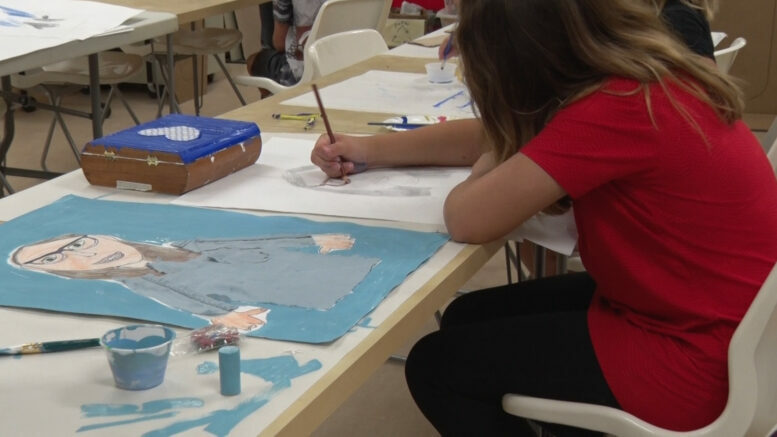 The five-day camp allows kids in the community to learn about the museum and express what they learned through artwork. The museum celebrates 100 years of operation this year, so to celebrate, the kids ended camp by making a collaborative collage of the number ‘100’. The collage will be displayed in the windows of the History Center this coming week.